We’d love your help. 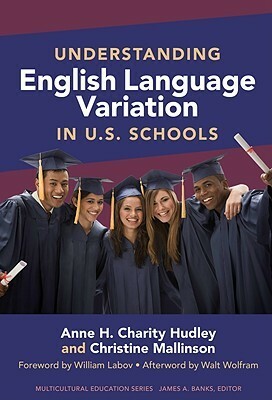 Let us know what’s wrong with this preview of Understanding English Language Variation in U.S. Schools by Anne H. Charity Hudley. To ask other readers questions about Understanding English Language Variation in U.S. Schools, please sign up. not enough on Mexican American English or Chicano English... but has some good chapters on language variation and African American English/Black English...My graduate students love it because it is easy to read and has suggestions for teachers. An important bridge between linguists and teachers with respect to the linguistic discrimination faced by students who speak nonstandardized varieties of English. Should be a staple in every teacher education program. If you grew up in the US, you will benefit from this compelling overview of two American English dialects (whether or not you are a teacher!). A very interesting, compelling read. Sounds like it could be really helpful as a teacher! Anne Harper Charity Hudley is the Class of 1952 Associate Professor of Education, English, Linguistics, and Africana Studies at the College of William and Mary in Williamsburg, Virginia. She directs the William and Mary Scholars program. Her research and publications address the relationship between language variation and Pre K-16 educational practices and policies. Her publications appear in jour Anne Harper Charity Hudley is the Class of 1952 Associate Professor of Education, English, Linguistics, and Africana Studies at the College of William and Mary in Williamsburg, Virginia. She directs the William and Mary Scholars program. Her research and publications address the relationship between language variation and Pre K-16 educational practices and policies. Her publications appear in journals including Child Development, Language Variation and Change, American Speech, Language and Linguistics Compass, Perspectives on Communication Disorders and Sciences in Culturally and Linguistically Diverse Populations, and in several book collections including the Handbook of African-American Psychology, Ethnolinguistic Diversity and Literacy Education and the forthcoming Oxford Handbook of Sociolinguistics. Her third book, The Indispensable Guide to Undergraduate Research: Success in and Beyond College, co-authored with Cheryl Dickter and Hannah Franz (also of William and Mary), is published by Teachers College Press in the Language and Literacy Series. Her second book We Do Language: English Language Variation in the Secondary English Classroom co-authored with Christine Mallinson of the University of Maryland Baltimore County, is published by Teachers College Press in the Language and Literacy Series. 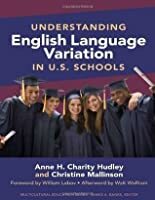 Her first book Understanding English Language Variation in U.S. Schools, co-authored with Christine Mallinson of the University of Maryland Baltimore County, is available from Teachers College Press in the Multicultural Studies Series. Charity Hudley has served as a consultant to the National Research Council Committee on Language and Education and to the National Science Foundation's Committee on Broadening Participation in the Science, Technology, Engineering, and Mathematics (STEM) Sciences. She serves on editorial board of the Sociolinguistics division of Language and Linguistics Compass and on the Linguistic Society of America Committee on Linguistics in Higher Education as an undergraduate program representative and the chair of the subcommittee on diversity. She works with K-12 teachers through lectures and workshops sponsored by public, and independent schools throughout the country as well as by the American Federation of Teachers. She is co-director, with Cheryl Dickter, of William and Mary Scholars Undergraduate Research Experience (WMSURE) a program designed to increase research opportunities for all students at William and Mary.